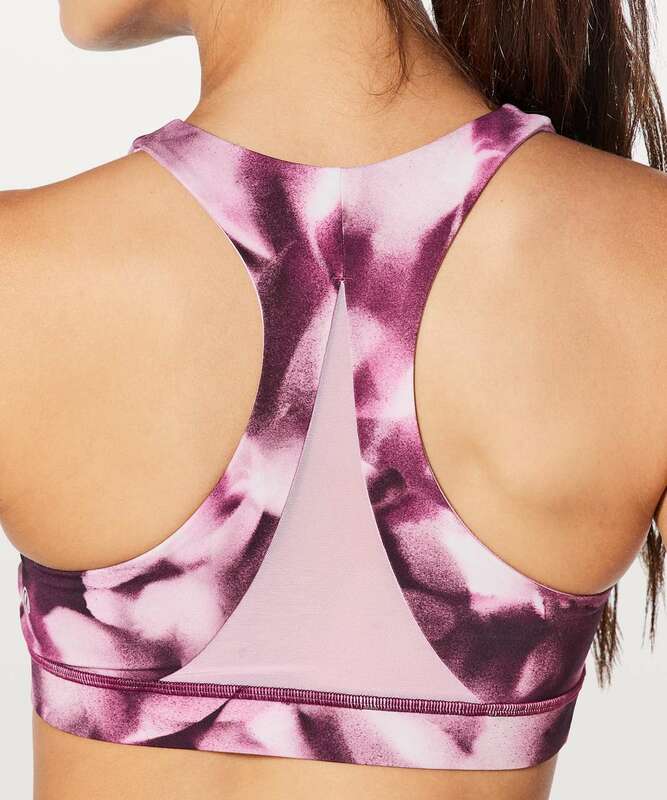 Pull on this ventilated sports bra when you want support, coverage, and airflow for your sweaty sessions. The Mesh fabric panel on the back provides ventilation, and the smooth thick straps give you support—without digging into your shoulders. We chose our Full On® Luxtreme fabric for its technical properties, like sweat-wicking and four-way stretch, as well as its cool, smooth feel. This bra is intended to provide medium support for sweat enthusiasts with a B/C cup.